Redshift makes it simple and cost-effective to efficiently analyze all your data using your existing business intelligence tools. It is optimized for datasets ranging from a few hundred gigabytes to a petabyte or more and costs less than $1,000 per terabyte per year, a tenth the cost of most traditional data warehousing solutions. Cloudera Enterprise includes CDH, the world’s most popular open source Hadoop-based platform, as well as advanced system management and data management tools plus dedicated support and community advocacy from our world-class team of Hadoop developers and experts. Snowflake eliminates the administration and management demands of traditional data warehouses and big data platforms. Snowflake is a true data warehouse as a service running on Amazon Web Services (AWS)—no infrastructure to manage and no knobs to turn. 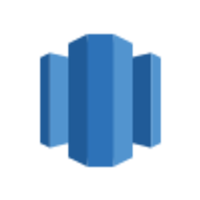 Why do developers choose Amazon Redshift? Why do you like Amazon Redshift? Why do developers choose Cloudera Enterprise? Why do you like Cloudera Enterprise? Why do developers choose Snowflake? Why do you like Snowflake? What are the cons of using Amazon Redshift? What are the cons of using Cloudera Enterprise? What are the cons of using Snowflake? How much does Amazon Redshift cost? How much does Cloudera Enterprise cost? How much does Snowflake cost? What companies use Amazon Redshift? What companies use Cloudera Enterprise? What tools integrate with Amazon Redshift? What tools integrate with Cloudera Enterprise? What tools integrate with Snowflake? What are some alternatives to Amazon Redshift, Cloudera Enterprise, and Snowflake? Data warehouse solution that fully separates compute and storage. Better management facility than directly using S3.